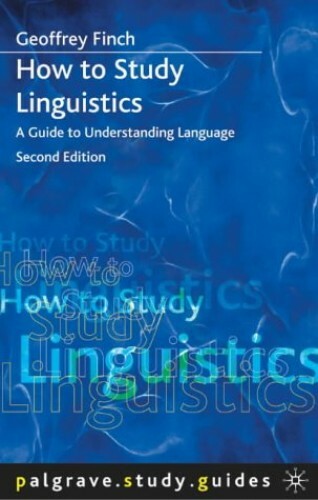 This text is suitable for students who are beginning linguistics. It assumes no prior knowledge and contains useful suggestions for developing an understanding of the subject. If you are new to linguistics as a subject and beginning a course at undergraduate or sixth-form level, How to Study Linguistics is the ideal introduction and companion to your studies. * Covers all the core areas of linguistic study, with chapters discussing strategies for studying phonology, syntax and semantics * Explores other branches of linguistics such as sociolinguistics, stylistics, and psycholinguistics * Includes a chapter on writing linguistics essays and a detailed glossary to aid learning and revision * Second edition includes new material designed to help the more advanced reader How to Study Linguistics is both a guide to current ideas about linguistics and a refreshingly practical text book. It will not only develop your skills as a language student, but will also make an often complex and daunting subject easy to understand, and a pleasure to study.